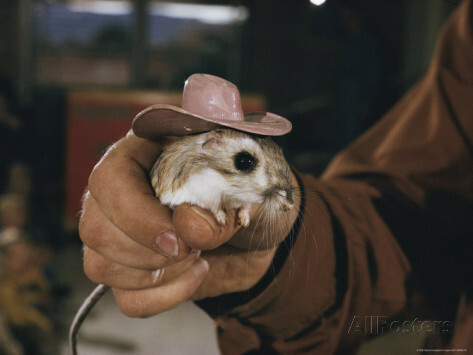 Just What is a Kangaroo Rat? Kangaroo Rat? Now isn't that just the funniest name ever! It even seems a bit contradictory. When we think of a kangaroo we think of a tall mammal with a pouch that hops around on two feet and usually packs a pretty nasty punch. When we think of a rat, we think of a medium sized rodent that runs really fast on all four feet and likes to eat at fairs. Although, I have heard rats pack a pretty nasty bite. This is one of my daughters favorite "babies." I'm actually surprised that we don't have them painted all over our walls! 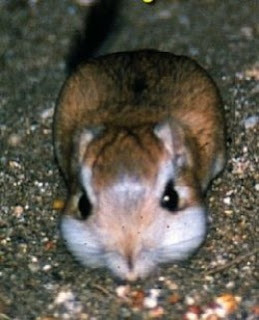 Like the kangaroo, the Kangaroo Rat has pouches. His pouches are on his cheeks, not his belly. His plump little body and long tail resemble a rat. 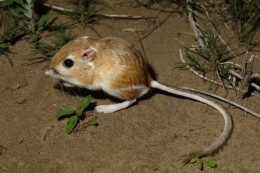 Thus, a Kangaroo Rat. These little creatures are extremely intelligent when it comes to survival. When there are seeds readily available to them, they will fill their little cheek pouches with food, run back to their burrows and create a little cache of food for later. Since they require no alternate water source, they can live quite comfortably this way. 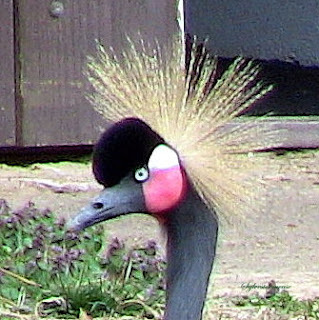 They have excellent hearing and can jump up to 9 feet. Because of their acute senses coupled with their ability to leap so high, they can often avoid being harmed by many predators. Unfortunately, they are a desirable meal for many other animals. For many of us, the only place we will most likely see a Kangaroo Rat is in a zoo. Here are a few zoos that I know care for Kangaroo Rats. Explore animal habitats that transport you to the wild by visiting Bronx Zoo exhibits & attractions. Our exhibits recreate wild places from the mountaintops of Nepal to the heart of Africa. Bring Home Your Own Kangaroo Rat Today! 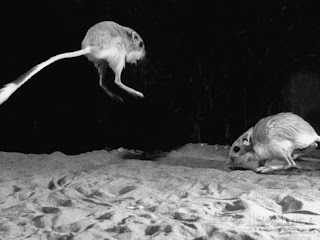 The pictures of the kangaroo rats are so cute! Love the one with the hat. I'm not much for rodents no matter what their names. I'll admit, though, that these would be fun to watch and read about, which I guess is true of most of God's creatures. Very interesting article!